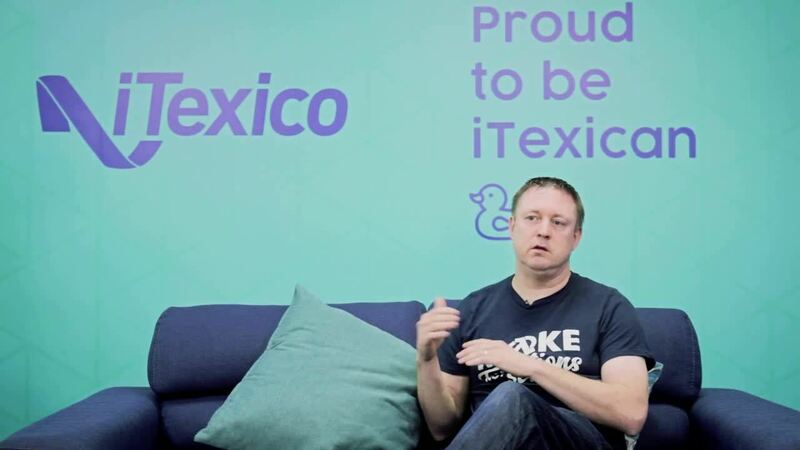 Digital Transformation with Nearshore Outsourcing? Today’s digital business landscape evolves and changes at a rapid pace – making it crucial that businesses evolve along with it. Keeping up with competition, maintaining happy customers, empowering productivity among employees, and protecting your business make digital transformation fundamental in today’s world. In almost every industry, long-established business models are not only failing to live up to to the digital business transformations of their competitors but also are losing ground to new start-ups and disruptive “born digital” models in their industries. For example, restaurants such as TGI Fridays and IHOP are losing market share to newer, more disruptive restaurants that are using digital transformation to innovate in the space – using Google Assistant and Amazon Alexa to offer new ways to order food and to engage with their restaurants. A customer’s voice is louder than ever, and one bad experience can have a ripple effect that can damage your bottom line for years to come. With more choices than ever and greater accessibility to more markets, it is essential to constantly improve the customer experience through digital transformation. The customer experience must be flawless at all touch points with your business. Maintaining that level of service is a constant pursuit. 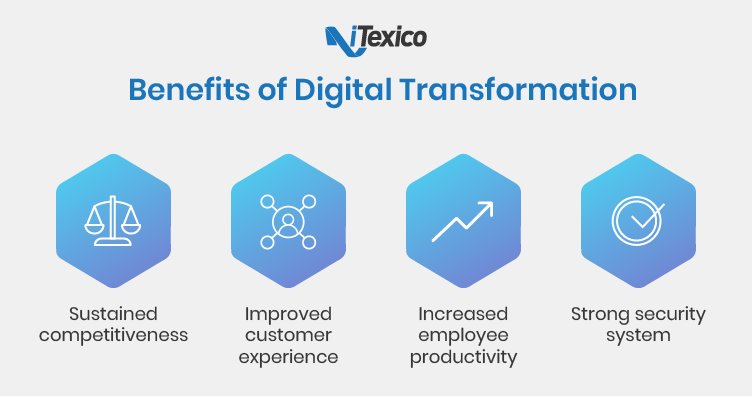 A digital transformation doesn’t necessarily involve turning all of your infrastructure over to robots and digitization; it’s equally important to empower your employees and teach them how the new tools and systems can help them achieve better results and increase their productivity. For example, the HR department can benefit from a digital transformation through an improved payroll process. This would enable them to focus their attention on more important business tasks. Digital transformation can only be as transformative as the safety and security that protects it. This task is extremely important but equally as difficult. An ever-evolving security strategy must be implemented across all data, applications, and networks. Confidence in a strong security system allows the company to focus on achieving business goals, while innovating in other areas of the business. Need a nearshore development outsourcing team? Contact us and let us collaborate with you to find the right answers and solutions you are looking for.